There are two dial variants of the 57GS 43999. It would appear that the early production of this model had SD dials, and then relatively early in the production lifetime, these were changed to AD dials. The “SD” stands for “Special Dial”, and indicates that the hour markers are made from solid gold, rather than just being gold plated, and this particular example is one of the best we have ever seen. The dial is in great condition, with only minor blemishes to take note of, all of which are clearly visible in the accompanying photos. 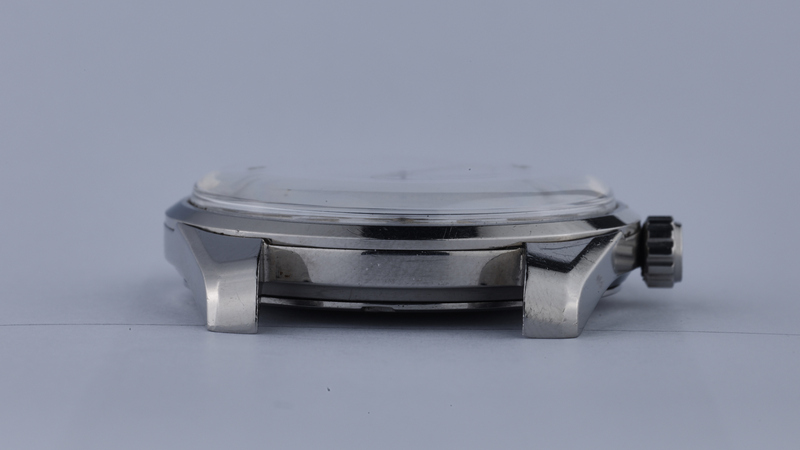 The case retains the desired strong beveling, and flipping the watch over we see the worst of the marks to be found on the case, where there are scratches on the case back clearly from rather over-zealous attempts to unscrew the back. 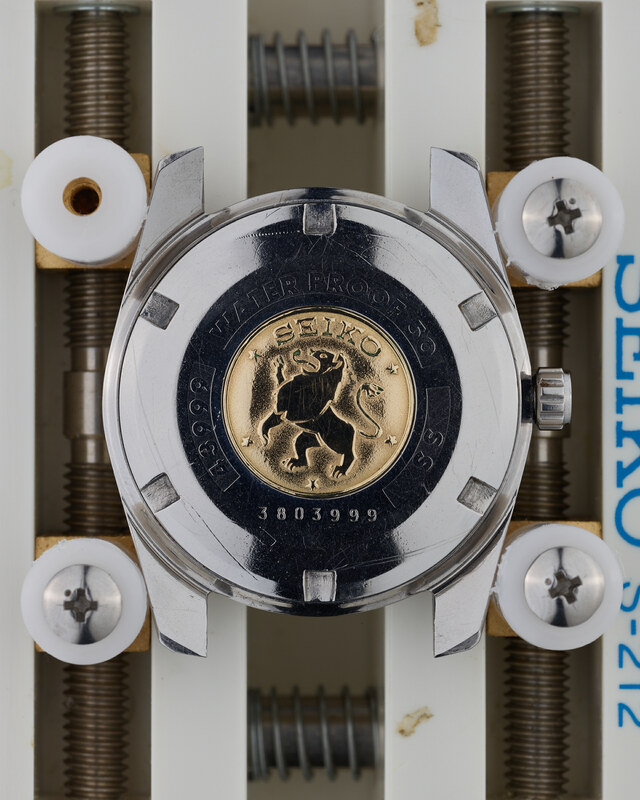 The lion medallion on the case back is in particularly good condition, whilst the surrounding text detailing model number, waterproof rating and case material is still very clearly visible. 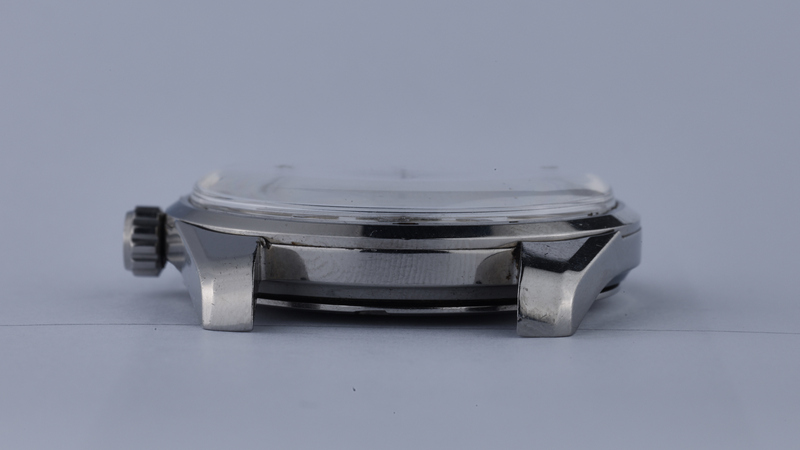 Importantly, this watch retains the correct, coarse-knurled crown. 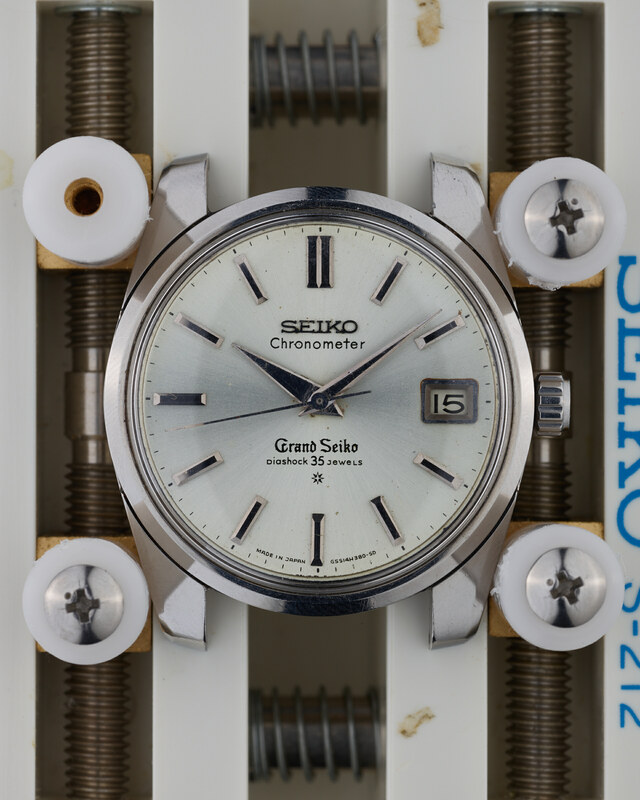 Because later in the life of the 57GS series Seiko changed this crown to a fine-knurled version, many examples of the 43999 are no longer found with their original crowns in place. Collectors should also be very wary not to be caught out by examples of this watch found with after-market third party crowns. “SD” examples of the 43999 are rare compared to the AD variant, and this example presents a very rare opportunity to acquire an example of this model in excellent and original condition. 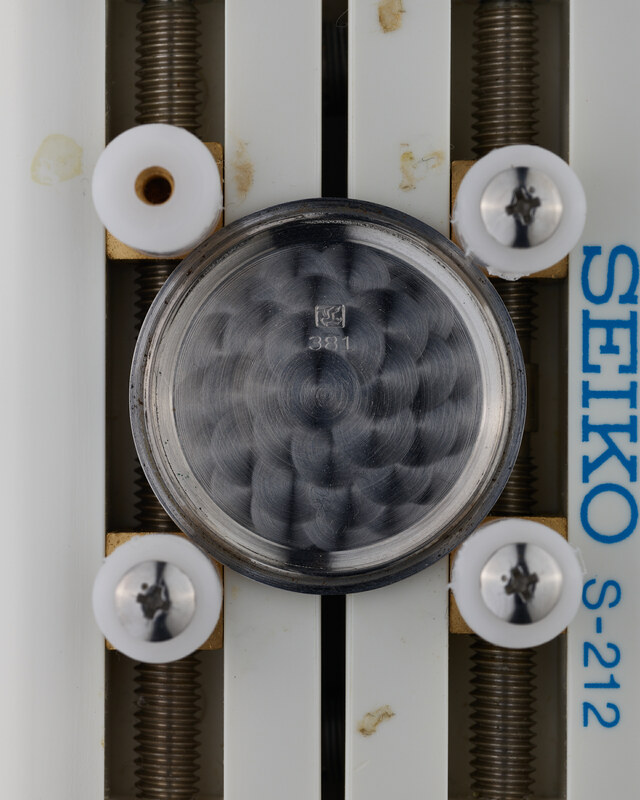 On a final point, the actual serial number of this watch is rather coincidental – do check out the images to see this unexpected little bonus! This watch was serviced in March 2018, and comes with a 1 year guarantee (refer to the FAQ page for details). 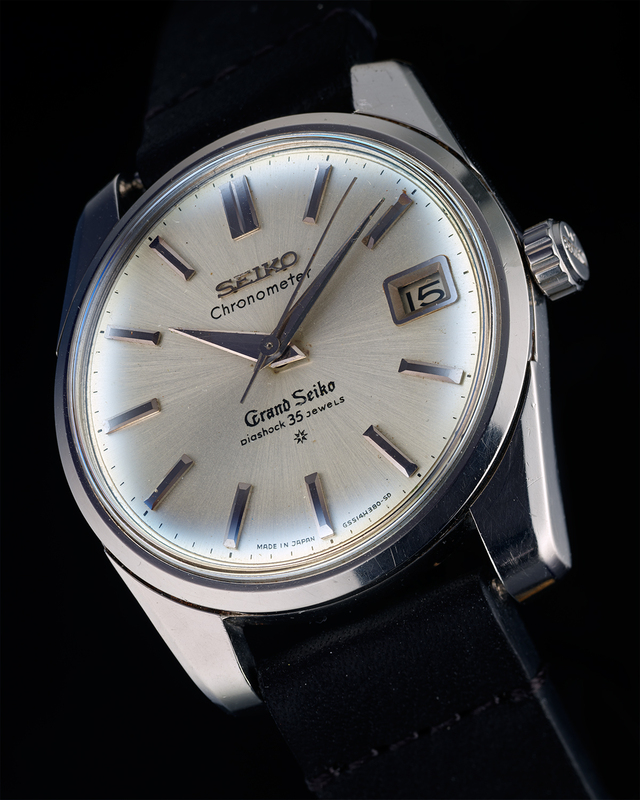 In 1963, the second series of Grand Seiko, the 57GS, was introduced to the market – the so-called “Self-dater”, due to the added date complication. Broadly speaking, there were three different iterations of the 57GS series over the course of its lifetime, being based on three different movements. 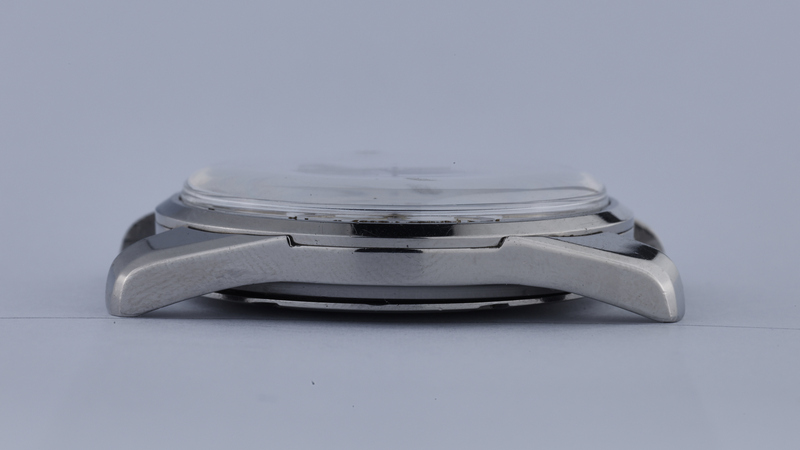 With screw down case-backs – increasing water resistance to a stated 50 meters – in addition to the iterative development mentioned above, this series eventually comprised models constructed from three different case materials. By far the most common are, as would be expected, are the stainless steel versions, but the watches were also available in “cap gold” (steel construction with a thick gold wrap), and the extremely rare and very costly solid 18K gold cases. 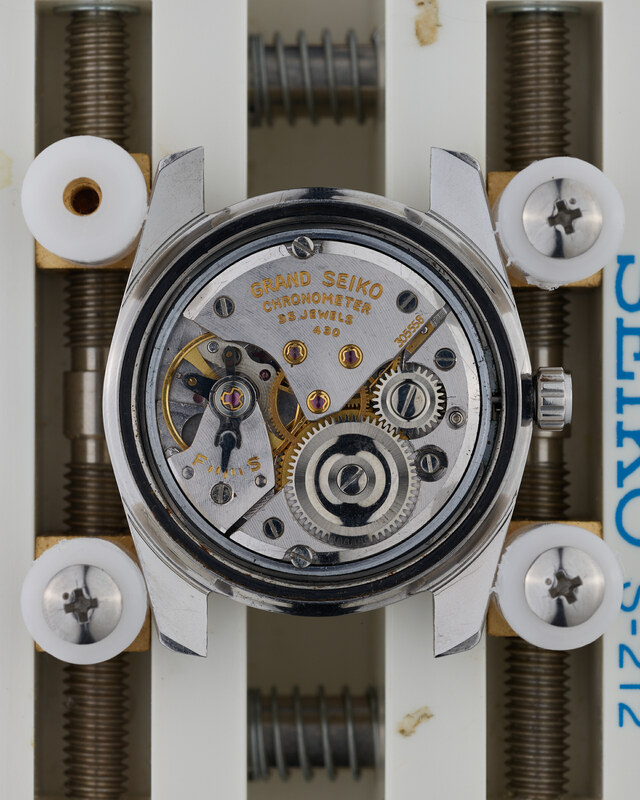 Focusing on the stainless steel variants, the first example of the 57GS series was a model numbered 43999, based on the 18,000 bph 430 movement. This was superseded by the 5722-9990 – typically utilising the 5722A movement, and finally the 5722-9991 rounded out the series, with its 5722B movement which now ran at 19,800 bph. 43999 case; 5722-9990 dial; 430 movement and 5722A movements. Whether all of these examples came out of the factory in these combinations is almost impossible to know. Most 57GS watches will have been serviced (hopefully!) multiple times over the course of the last 50+ years, and, with many parts interchangeable between the different iterations, almost anything could have happened. 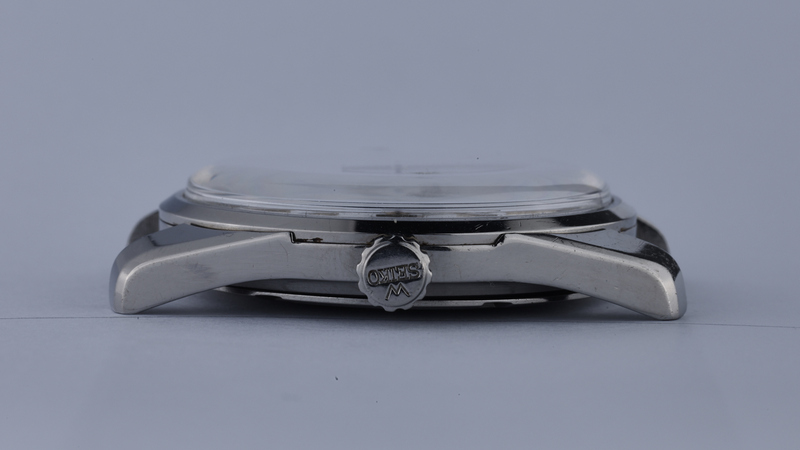 An example to highlight this – whilst there are two different crown designs for the 57GS (see comments on individual watches for sale for details), they both have the same part number, so presumably would be considered totally interchangeable to a watchmaker undertaking a service who was not that concerned about maintaining the full originality of the watch.